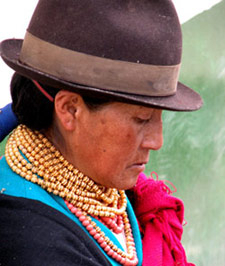 OTAVALO, Ecuador — Indigenous communities in Ecuador, as elsewhere in Latin America, tend to be impoverished and marginalized. Though Quechua-speaking natives represent 12 per cent of Ecuador’s 13.2 million people, all too often they lack access to education and health care and find themselves mired in poverty and deprivation. Because of linguistic, social and cultural values, their voices go largely unheard. 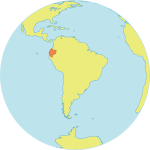 Quechua communities comprise 12% of the population of Ecuador, yet they are often denied access to education and health care. The data speak volumes. Close to 88 per cent of indigenous households live below the poverty line, a grim fact reflected in high maternal and infant mortality rates. In some remote communities, maternal mortality reaches 250 deaths per 100,000 live births, nearly twice the national average of 130. In some rural areas of the Andes, one of every 10 infants dies before his or her first birthday. Lack of education and health care undermines development prospects and impoverishes families. 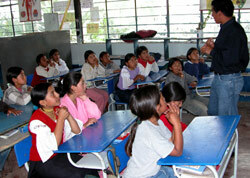 Nearly one quarter of the men and over one third of the women in Quechua communities are illiterate. Most women receive only 2.5 years of schooling, the men barely 4 years, compared to the national average of 7.1. With few economic options and high fertility rates – indigenous women average nearly five children each over the course of their reproductive lives, compared to 3.3 for the country as a whole – poverty has become endemic and is passed on from one generation to the next. Straddling the equator, some 3,000 meters high in the Andes, is the ancient city of Otavalo. Most of its residents are Quechua-speaking descendents of the Incas. What happened here is a textbook example of how local empowerment can change an entire health system and alter the course of social and economic development. In 1994, a local NGO, known as Jambi Huasi, established a health clinic designed to meet the health needs of the local indigenous population. But what was launched as a health centre soon turned into a community movement [see video presentation]. Operating under the assumption that health needs can only be addressed successfully within their own social and cultural context, Jambi Huasi, which means Health House in English, adopted a rights-based approach, grounding its panoply of integrated services in respect for cultural traditions, social solidarity and reciprocity. The health centre provides both modern and traditional medical treatment, as well as family planning advice and services. Traditional healers use over 3,600 native plants for medicinal purposes. This combination of services has made Jambi Huasi a very popular clinic. Although it was initially set up to serve the needs of some 4,000 people a year, by 2005 more than 1,000 people per month were using the clinic’s services, some traveling as far as 50 kilometres for care. Jambi Huasi provides integrated reproductive health services to both Quechua and mestizo communities. Jambi Huasi‘s staff of 14 includes two indigenous medical doctors and two community volunteers who help with outreach. About half of Jambi Huasi’s clients use the services of traditional healers. The range of services is extensive. 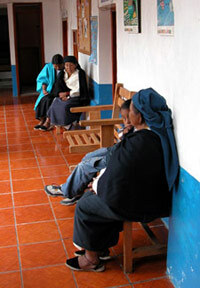 “We have delivery rooms here, as well as an examination room, a lab for blood work, a dentist’s office, a pharmacy which dispenses both modern and traditional medicines, an information and education programme, and outreach services, which include an ambulance for bringing emergency cases to the local hospital,” explains Dr. Conejo. The success of Jambi Huasi springs from its integration within the cultural traditions and the value system of its clients. Health is an intimate aspect of life and ideas about causes and treatment of illness are often deeply situated in a specific cultural context. Health workers that speak the language and understand local customs can be critical to delivering quality care. For this reason, Jambi Huasi employs a full-time communication and education specialist, Dr. Mercedes Muenala, who has a degree in internal medicine from the University of Quito. She spends most of her time talking to women and men in Quechua communities in an attempt to increase awareness of reproductive health issues and to build demand for the services provided by the clinic and its satellite operations. One of the most important ways Jambi Huasi builds demand is by delivering health care in a way that respects their values and beliefs. As Quechua communities have learned more about reproductive health issues and how to take better care of their children and newborns, the contraceptive prevalence rate has climbed from 10 to 40 per cent in areas serviced by Jambi Huasi. Though most Quechua women still want four to six children, they are now more likely to space their births and take steps to make sure they have safe, healthy pregnancies. As a result, both the infant and maternal mortality rates have fallen in Otovalo. Through a community outreach programme, Jambi Huasi also provides family life education in middle and secondary schools. The Government has studied the process and results of the Jambi Huasi experience and is planning to replicate it elsewhere. “The bottom line is that this community-based approach, which is rights-based and gender-sensitive, has influenced the provision of health care far beyond the confines of Otavalo,” observes Dr. Conejo.